The Chewable HA Lozenge makes getting the joint-health benefits of Hyaluronic Acid (HA) easier and tastier than ever before. 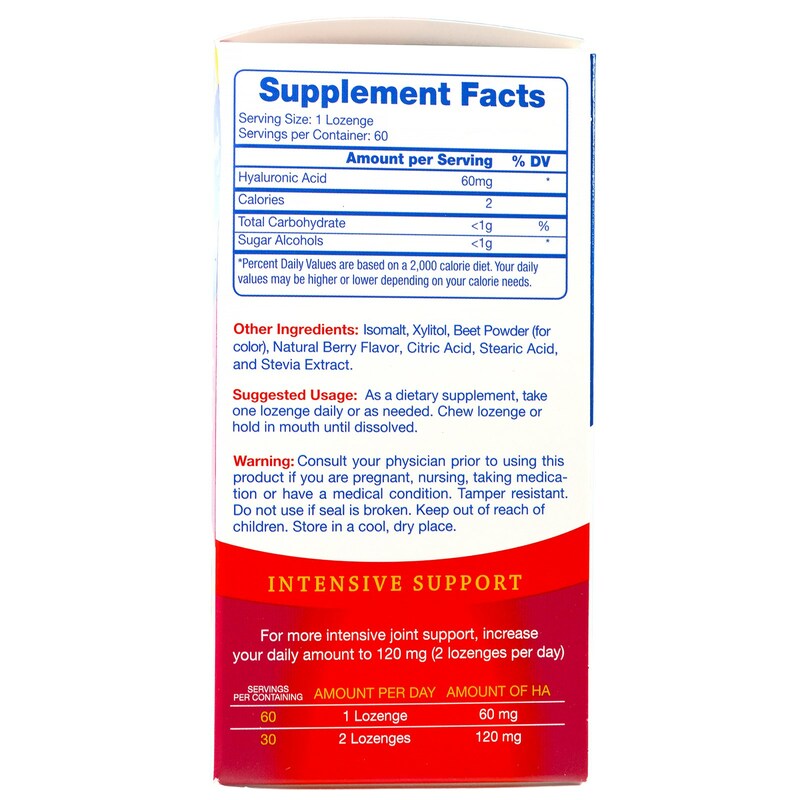 After all, a nutritional supplement cannot help you unless you take it. With a delicious, natural and sugar-free berry flavor, each HA Chewable Lozenge delivers 60 mg of vegan, high molecular weight HA. It literally melts in your mouth and tastes so good, taking it feels like a treat! Hyaluronic Acid is a remarkable, water-loving molecule naturally found all throughout the human body, acting as a lubricant in our joints and cartilage as well as a hydrating moisturizer in our skin and an important component of healthy eye function. As we age, our body's ability to produce HA can slow. 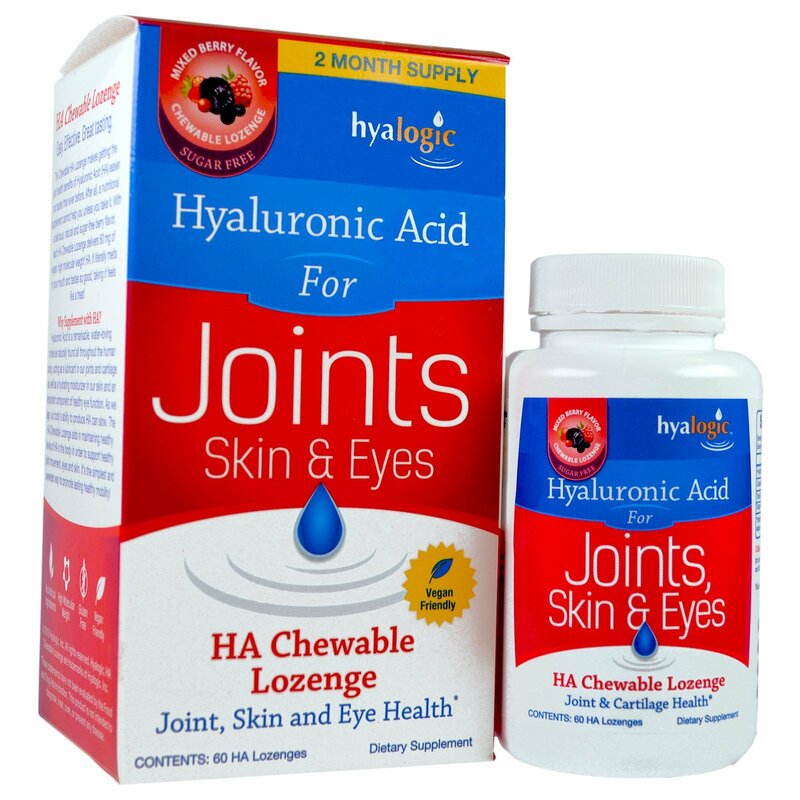 The HA Chewable Lozenge aids in maintaining healthy joint movement, eyes and skin. It's the simplest and sweetest way to promote lasting healthy mobility! Isomalt, xylitol, beet powder (for color), natural berry flavor, citric acid, stearic acid, and stevia extract. Consult your physician prior to using this product if you are pregnant, nursing, taking medication or have a medical condition. Tamper resistant. Do not use if seal is broken. Keep out of reach of children. Store in a cool, dry place.